There are not many shooters that aim for reality, but there is only one that really goes fully into it. And that game recently fully released after having one of the longest beta testing phases ever seen for a first person shooter. 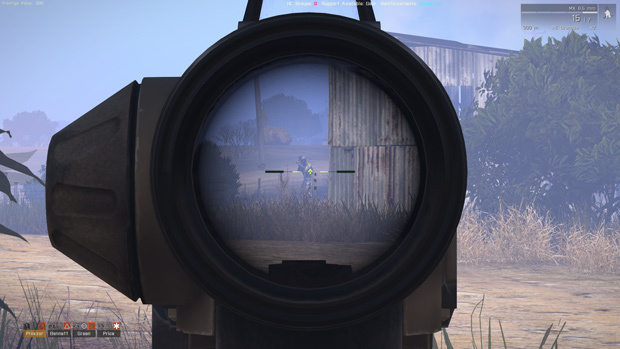 I am of course talking about the buy to play ARMA 3, a military simulator that has been around for centuries, and last year really exploded with the release of a simple mod. Something that has always intrigued me about this series is not the game itself, but the studio behind it, Bohemia Interactive. This game studio is probably one of the few studios that really care about their game; rather than seeing each game as a new source of income, they push to provide a brand new project that both they and their community came come together on to build a success both are happy with. First of all I want to go into full detail of how open Bohemia Interactive is with its fans. Where new first person shooters are more and more limiting in what they let players do, Bohemia Interactive fully gives away their game to the community. The community itself has always been a tight group, one with passion that has put their whole hearts into the game to create missions, mods and friends. I myself am a member of one of these large communities, and now you might think, what is the fun of that? 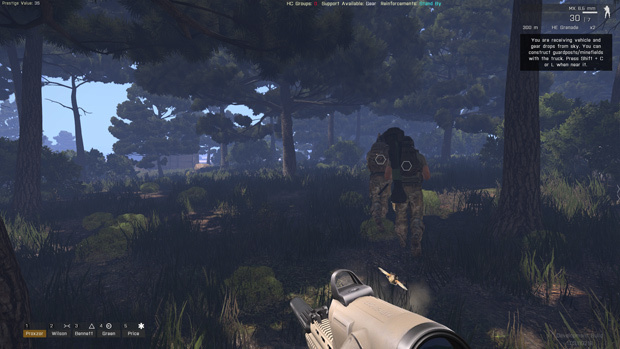 Well ARMA 3 isn’t just a tactical game you can play with a bunch of friends. It isn’t a game you play while sitting on the couch. No ARMA has always been a series where realism is the most important thing, and they try their best to bring that up front. There are many players like me, playing every weekend with a big group of hundreds of players, playing big missions with multiple squads at the same time, together and against each other. When I think of ARMA, I think of the community as a family with Bohemia Interactive being the grandparents. Now onto the game itself, the ARMA series has been around for a long time now. As such it becomes an increasing challenge with each iteration to offer enough innovation to make gamers want to jump to the latest version. Well better graphics and improved technology are both present as one would expect. But besides these elements, ARMA III pushes a major overhaul on past versions that is well needed. 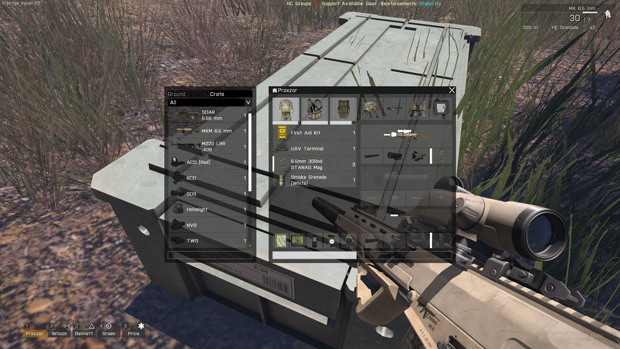 The new inventory system and interface is much appreciated compared to what we dealt with in Arma II. I can’t properly describe the level of frustration I had dealing with the buggy inventory in that game. Luckily Bohemia listened to us, and they completely redid their whole inventory system that started out many years ago. Beyond the UI, Bohemia used their technology to push ARMA II’s realism into every facet of the gameplay. I’m talking about improved weather systems, underwater environments, and a lightning engine that puts most shooters on the market to shame. All in all, it’s just eye candy but fans like myself aren’t complaining. As I’ve mentioned in past write-ups, ARMA III’s alpha felt a bit off as they attempted to push beyond the modern setting of past titles into a post-modern setting roughly thirty years in the future. I must admit for a game known to push realism, this new setting wasn’t too appealing. Sure everything is “better,” as you can play around with borderline science fiction technology and super soldier weaponry. They put in the effort to make it believable and I can’t knock them on the effort. It’s more a personal gripe but worth mentioning for former ARMA II players that might be jumping in without being aware of this design change. A couple weeks ago, the game itself finally opened its primary world map, the largest map in gaming history. You think the latest Grand Theft Auto 5 map is big? Well it is nothing compared to ARMA III’s Altis. Perhaps this map was the biggest surprise in the entire package. During my first impression traveling around, the map looked completely awesome. 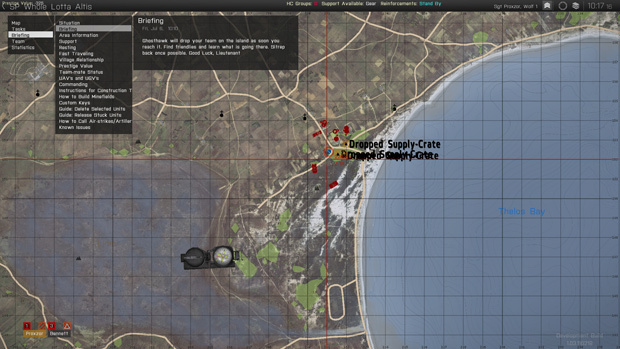 But as I traveled more I realized that a key component that made ARMA II maps awesome was missing. Where were the forests? Sure there are patches of trees scattered here and there, but nothing on par with Chernarus kilometer long forest expanses. Beyond aesthetics, the larger forests were key in guerilla tactics. Altis feels more designed for large scale open warfare rather than small skirmishes. Now snipers will have to find other means as the forest density just doesn’t offer the kind of confusion you need to keep your enemies guessing long enough to secure victory. I guess it comes back to Bohemia’s never ending quest for realism and the huge forests just didn’t match the Greek sandy landscape they were aiming for. Players will have to take the fight to each other in the many village and cityscapes that all seem to blend together after a while. I wouldn’t say that I am disappointed, no not at all. Without a doubt I will be spending thousands of hours into this game just like I did with its predecessors. I just expected more. Bohemia Interactive took a huge leap of faith with going into the future with ARMA 3, and I honestly believe that this was a bad call to make. Everything feels unfamiliar, a little strange and unbelievable, and in my eyes that is a failure. The gameplay, and graphics are yet again are extremely well done, but that isn’t the point that I want to raise here. I was hoping for something that reminds me of their previous game. Instead it’s just a post-modern shooter in a huge world with the ARMA label on it. However, if you are a big fan of shooters, and do not mind the simulation style of having a thousand buttons to press, then you should definitely get ARMA 3 because once you get to know the game, it is solid enough to warrant the purchase price. Unfortunate news for fans of NCSoft's hybrid-MOBA, Master X Master (MXM): the game will be shutting down on January 31. The biggest Blade & Soul update is arriving tomorrow, Dec. 6th and is called "Dawn of the Lost Continent".